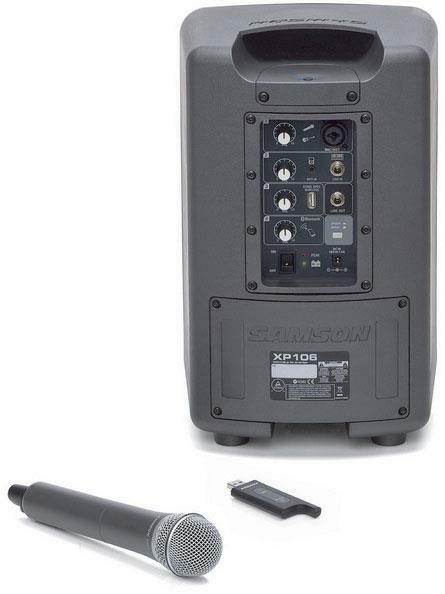 Samson’s Expedition XP106w Portable PA is jam packed with features, including Bluetooth connectivity and a USB digital wireless system, for delivering professional presentations in any environment. 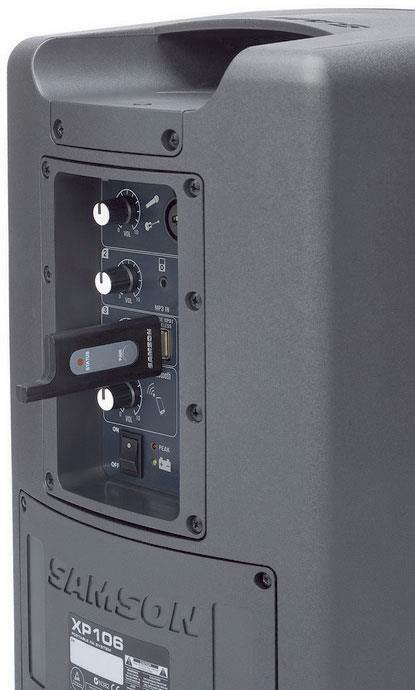 Such versatility, combined with clean, crisp audio, makes the XP106w an all-in-one solution for classrooms, conferences, health clubs, parties, as well as variety of mobile and outdoor applications. 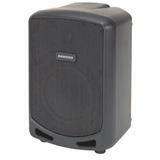 Ensuring pristine, full range sound, the XP106w features a 6-" woofer and a 1-" high frequency driver. 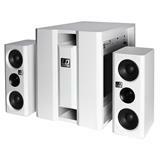 A 100-watt Class D amplifier, perfectly matched to its drivers for high efficiency and low current draw, powers the XP160w. 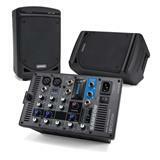 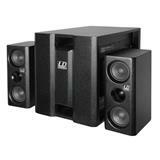 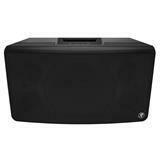 And as the amplifier is extremely lightweight, it enhances the portability of the system. 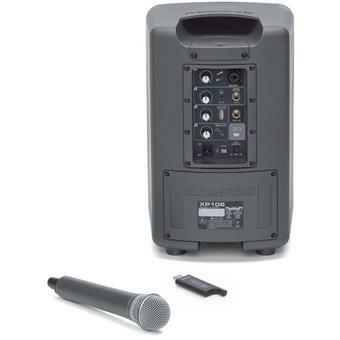 The XP160w’s rechargeable battery also increases the system’s mobility, allowing for up to 20 hours of continuous use wherever great sound is needed. 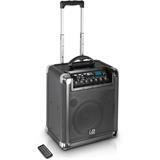 The XP106w is Bluetooth-enabled, so it can be can paired with smartphones, laptops or tablets and play music without any need for cables. 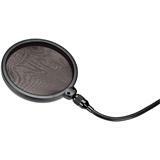 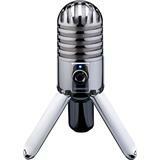 It also features XLR-1/4 " combo (included dynamic handheld mic and other mic/line level devices), 1/4-" (guitars and line level devices) and 1/8-" (MP3 players, keyboards, etc.) 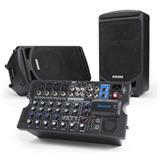 input options. 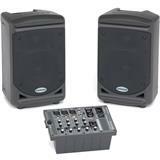 And to expand your sound, the XP106w has a Link output to cascade multiple systems together. 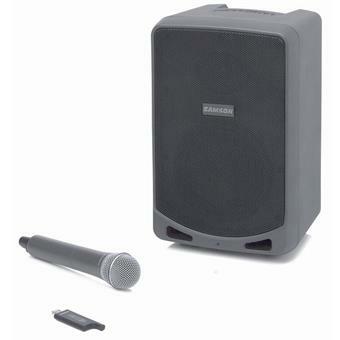 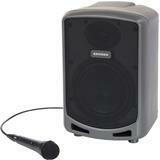 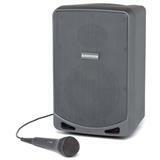 The XP106w also has a dedicated wireless channel for integrating the included Stage XPD1 USB Digital Wireless System. 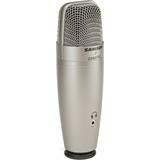 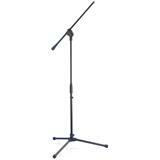 The 2.4GHz system features a wireless receiver built into a USB stick and a handheld dynamic microphone transmitter. 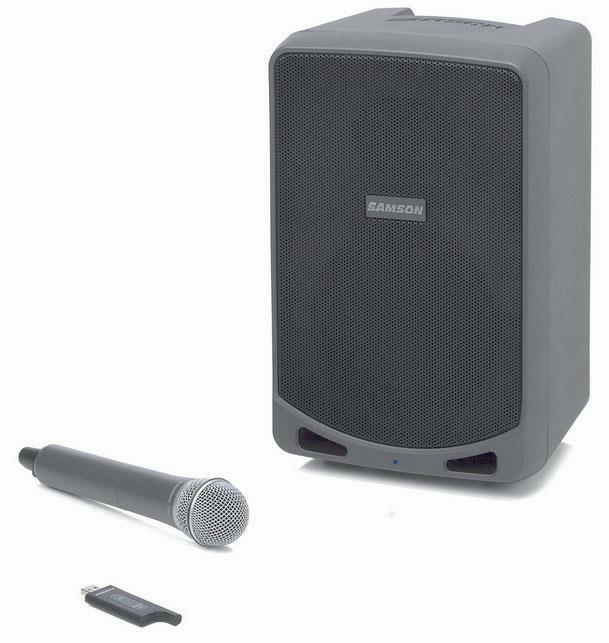 With a 30-foot operating range, the Stage XPD1 frees presenters and performers from the constraints of cables when using the XP106w. 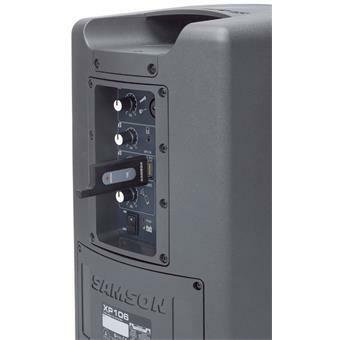 High-quality components, professional features and convenient portability make Samson’s Expedition XP106w a consummate single system solution for a wide range of public address applications.